The world of presentations has many different building blocks. Ranging from data, slides, creativity, etc. But the most important block is the software. Unfortunately, Microsoft Powerpoint has been controlling the presentation world, but for all the Apple supporters, Keynote came out. Keynote is an excellent alternative to powerpoint because it offers the same things for free as its already on your Apple device! The next building block is a good organization of your slides. Luckily for you, as you continue to read you are going to learn about 69 of the Best Free Keynote Templates that are bound to help you create a successful presentation. City Free Presentation Template is the template that you can use to present your numbers and products to your investors with no problem. With a fantastic variety of unique slides with different features, this, one of the Best Free Keynote Template, is perfect for anyone looking to create a simple yet creative presentation in short amount of time. The Business Plan template is a free template that helps you figure out where to start and finish your presentation! So if it is hard for you or you just do not have enough time to sit at a desk and think about how to make your presentation creative, this keynote template will be the perfect guide! The Business Keynote template is perfect for anyone who is looking to create a clean and modern presentation with ease. It organizes your presentation by separating it into a various amount of slides all contacting 100% customizable graphs, charts, and colors. Finding a good template that actually gives you everything you need and is efficient is hard to find nowadays. Luckily for you, this template is not only free but contains many different diagrams that can help you present any data to a teacher, professor, classmates, business investor, or even just your co-workers in a creatively exciting way. The best part? You don’t have to download a single thing! Just click the link and creating presentations will be ten times easier. Athens Free Presentation Template offers you 23 slides that you can use to present your pitch deck, marketing ideas, and more in no time. The free Minimal Keynote Template is perfect for creating a simple, short keynote presentation that will get straight to the point and not bore your audience. It has many features that are easy to work with and keep your presentation looking sophisticated and not dull. This free keynote template has a great color scheme of grey which is perfect because it adds a beautiful modern color to your presentation but keeps the audience focused on what really matters; the data you are presenting to them. Click the link now and get this simple and effortless yet modern template now! The Air Minimal Keynote Template is perfect for anyone who is on a really short deadline and has to put together a presentation quickly. This free template has many different features that allow you to compact data into short, straightforward phrases that will not bore your audience and will allow you to present all the information you need to. If you have a presentation due soon and have no idea where to start, worry not! This template has a magnificent structure that is easy to follow and allows you to just simply and quickly add your information. It organizes your data to look creative and unique with minimal effort! This Free template is fit for any software you want it to such as Google slides, powerpoint, and most of all Keynote for Apple. It has multiple efficient features and tools that can be accessed by just clicking on the link! Go ahead and jugde why this is one of the Best Free Keynote Templates. 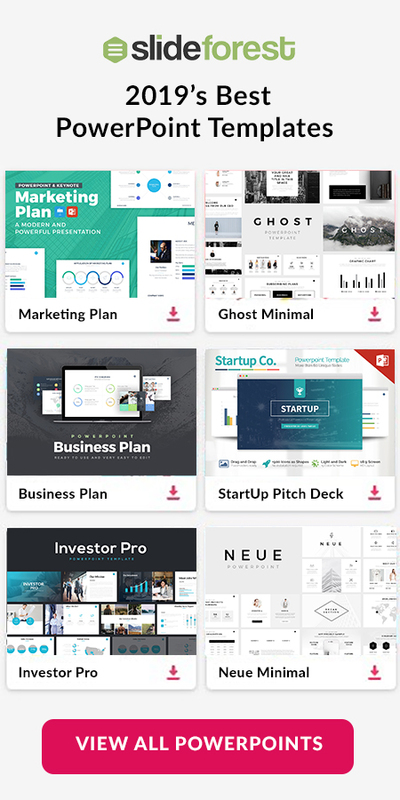 The Inc Free Keynote Template is going to help you perform a presentation in college, present your products to your investors, and even present your ideas to your colleagues. All you have to do is change the text and the images and you will be ready to present. If you need to present numbers and statistics to your audience, the Modern Free Keynote Template is going to provide you all the layouts and designs to accomplish so. Tikala Free Presentation Template is a set of layouts that are going to bring color and formality to your presentation with no problem. With its graphing paper design, the Notepad Free Keynote Template is a modern and quirky template that will catch your audicence’s attention as soon as you start presenting. Each one of its slides are fully editable. The Jupiter Free Keynote Template is an entertaining and creative set of layouts that will help you keep your audience during the whole presentatoin. All the slides are colorful and professional that will give presence to your exposition. Do you need a presentation layout that can keep you audience entertained and keep them interested in your presentation? The Playful Free Keynote Template is going to provide that to you. The Yellow Free Keynore Template is one of the few slides that can catch people’s eyes instantly. This is the reason why this keynote template is a sharp tool that you can obtain to persuade your audience. The Morgan Free Keynote Template’s orangish background will communticate to your audience freshness and professionalism which means that there will be no room for boredom in your listeners. The Finance Free Keynote Template’s colors are going to be very handy when you persue to keep your audience enternained with your presentation and paying attention as well. With its vivid colors and design, the Business Pro Free Keynote Template is going to help you when it comes to persuading audience and keeping their attention. With the Stylish Free Keynote Template’s lively and polished design, you will be able to keep your audience interested. Don’t hit your head on the wall thinking on what to do but download this template and the rest will be a piece of cake. The Professional Keynote Template contains many different slides that are each uniquely designed to have a modern twist but still keep the traditional sophistication a presentation should have. Many people all over the world have some type of social media whether it be for social means or to do business. If you run a business dealing with social media and are looking for a template that will make your presentation stylish yet informational, search no more! Click the link, stay trendy, and lear about one of the Best Free Keynote Templates! The Leaf Free Keynote Template has a beautiful color scheme that really brings out the different shades of green to highlight all the data being presented through your presentation and makes it an eye-catching presentation. It also comes with many various icons One-Hundred percent free to you as long as you click the link and use this excellent free template. There are a variety of unique slides available to you in this free keynote template. Whether you are looking for a sophisticated or creative design for your presentation, this template has it all. There are so many different features available to you with this free template that your pitch deck is bound to be a success. Amaze your possible investors by just clicking the link! Use the Alpha Keynote Template to organize all your ideas into a beautiful template that will make all your critical data stand out and grab your co-workers, investors, or teachers eye and make you incredibly successful. Go ahead and see why this is one of the Best Free Keynote Templates. 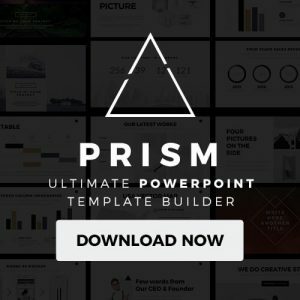 The Clarity Presentation Template has multiple unique slides that allow your presentation to come to life with the different designs it has. Keep your audience entertained and have fun while making your presentation. This free keynote template is fully customizable. You will be able to change and adjust the color scheme so it can match with your business or brand. Adding colors to your presentation could be perfect when presenting a pitch deck to investors because it will show the true spirit of your business and make them interested in your propositions. The Firm Template is a free keynote template that will make your presentation look extremely elegant and save you time. It has a modern style that is attention grabbing and will for sure make your pitch deck or school project presentation successful! The Genesis Presentation Template is perfect for creating pitch deck because it has many different features that will highlight your marketing sales and propositions. Such as interchangeable pictures, customisable color schemes, and many various charts and graphs. The Business Solution Free Keynote Template is going to help you present your ideas and goals to your audience. With its complementary colors and images you can customize it with your company’s colors and logos or as you prefer. This free keynote template explicitly made for anyone with an apple device needing to make a presentation that will be impressive. There are a bunch of unique, creative yet sophisticated layouts that will help you present your team, product, the services of your company. They are ready for you as soon as you click the link and get the Business Solution V2 template. The Flat Free Keynote template is a fantastic template to use no matter what industry you are into. It allows you to replace any images with pictures of your choice and has many different charts in which you can present your sales or marketing statistics in a visually creative way. Get it now and wow your audience by showing them presentations CAN be interesting! The Business Proposal Keynote Template provides you a variety of background colors to fit the user’s need. All the slides are fully editable and can be used as the customer’s needs. The Onyx Free Keynote Template’s blueish background is going to catch your audience’s attention and each one of the slides are going to be appealing and persuasive to any kind of listener. The Company Profile template is perfect for any Apple device like a Mac and contains features that are trendy and perfect for presenting any type of data to an audience. It is one of the most recommended templates for anyone looking to create a successful presentation. The Muse Free Keynote Template is a conservative and creative template is very easy to edit. Don’t waste time struggling on how to build a presentation with these characteristics but download this free template. Porto Free Keynote Template’s bluish background and different tones portryas uniqueness and professionalism. Each one of the slides was created to accomplish one thing: success. We hope that you enjoyed this collection of the top 69 best free keynotes themes and templates of 2019. I ensure you that more than one will be useful to you and will help you with your business or class project. Save time and money by downloading and editing any of these best free keynotes themes. The Verzus Minimal Keynote Template is going to be perfect for you when it comes to presenting a topic to a particular kind of audience, keeping in order your main points when expressing your ideas through a Keynote template, or displaying your products to your business partners. This model is going to provide all of what is necessary when it comes to structure planning. 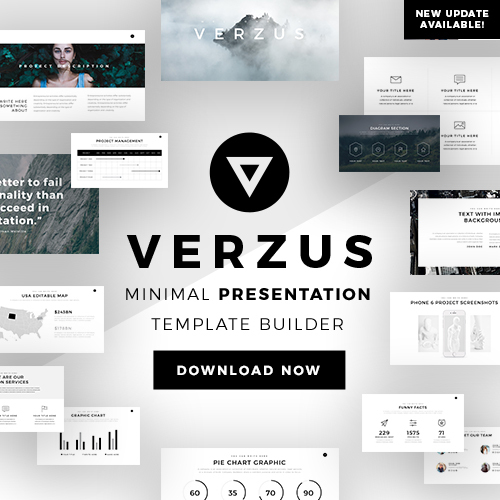 With its hundreds of different usages, the Verzus Minimal Keynote Template is what you need. If you are looking for the best Keynote template to present your products and ideas to your audience, the Corporate Overview Keynote Template is what you need. On this model, you can easily customize its background colors with its over-a dozen color possibilities. Use its graphics and charts to present your products’ growth along with your company’s. Efficiently manage its structure and order according to your preferences, and you will be ready to show before your business colleagues. With its over 67,000 possibilities of editability, the Investor Pro Keynote Template is what you need when you are dealing with numbers and products on your presentation. There are no limits concerning edition. Each one of the slides can be customized as you desire and can be used as it better suits your necessities. Use its 3,500 vectors with the option to drag and drop on the slides of your choice. This template was designed to make your life easier. Professional Google Slides themes for business presentations. More than 500+ slides ready to customize.